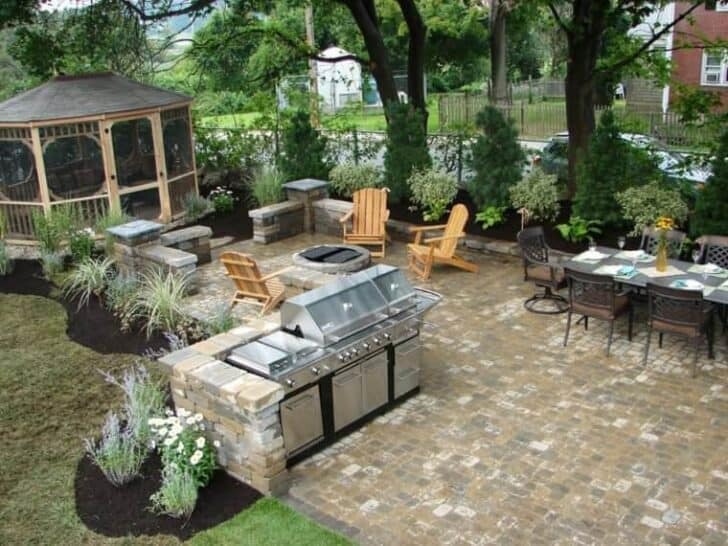 The summer outdoor kitchen is a nice addition to the garden. 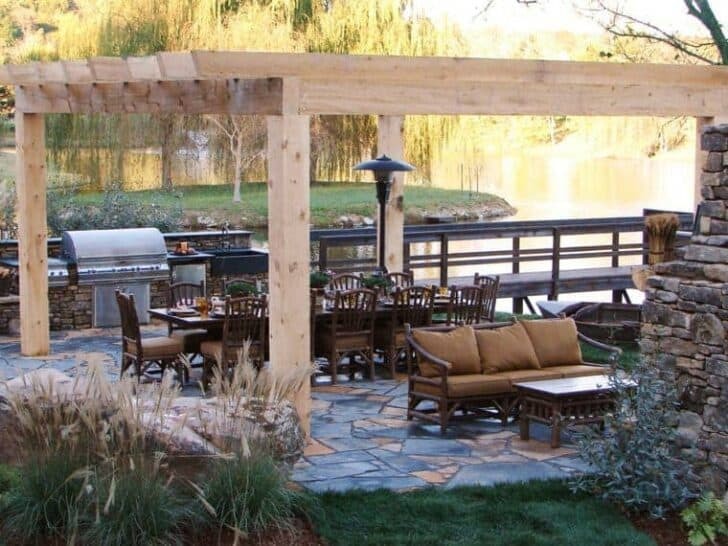 Here are 20 beautiful examples of DIY outdoor kitchen ideas in different gardens. 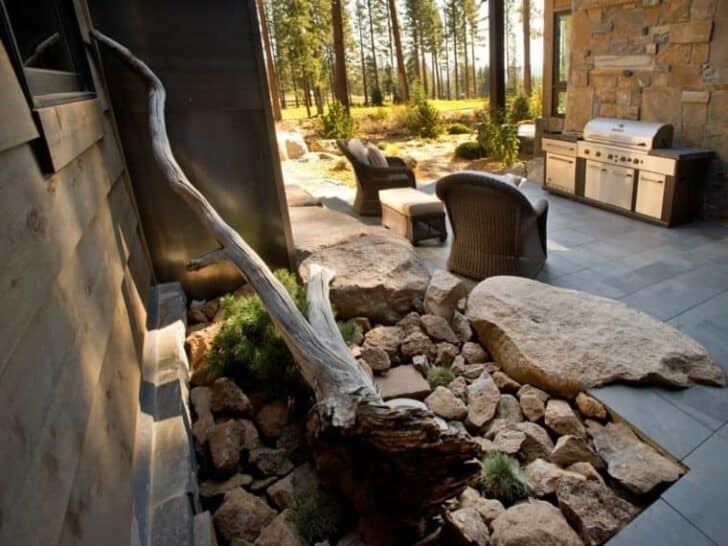 Modern outdoor kitchens allow us to prepare outdoor meals. 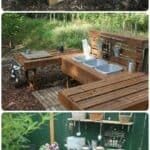 Consequently, they offer practical solutions for summer evenings when it's hot inside, you can go out, have fun and enjoy a good meal in the garden. 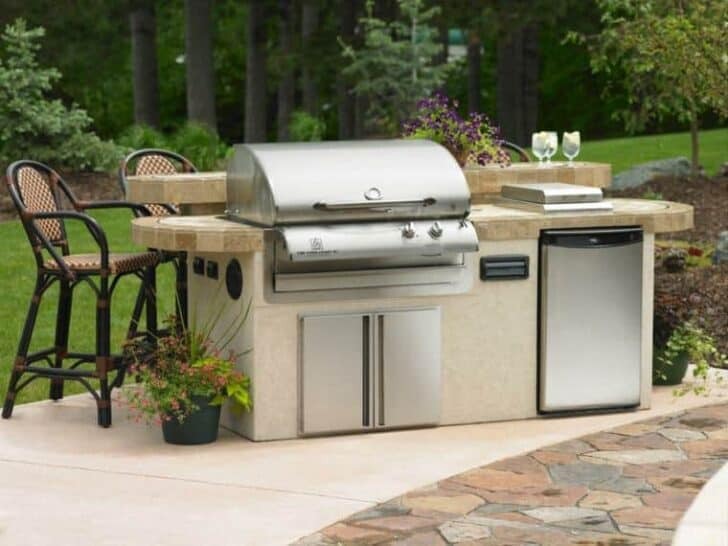 If you are lucky enough to have a garden and you want to accommodate an outdoor kitchen modern style, you can use for this purpose a corner of the terrace. 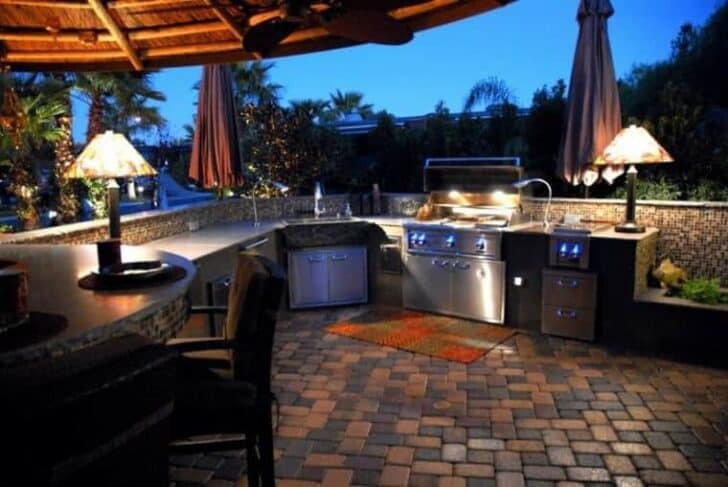 Modern outdoor kitchen ideas were accompanying garden furniture offer you the opportunity to cook while chatting with your partner or watching the children while they play outside. 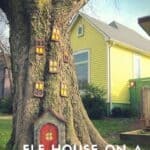 Like organizing garden parties? 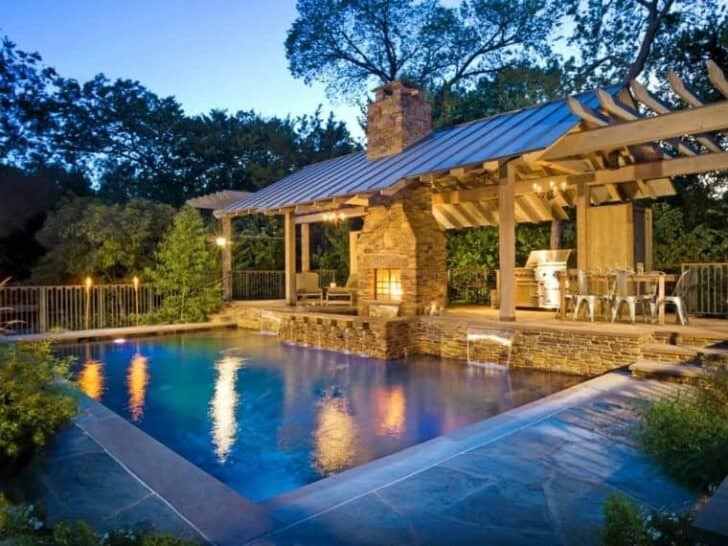 In this case, this was an ideal solution for you and your garden. 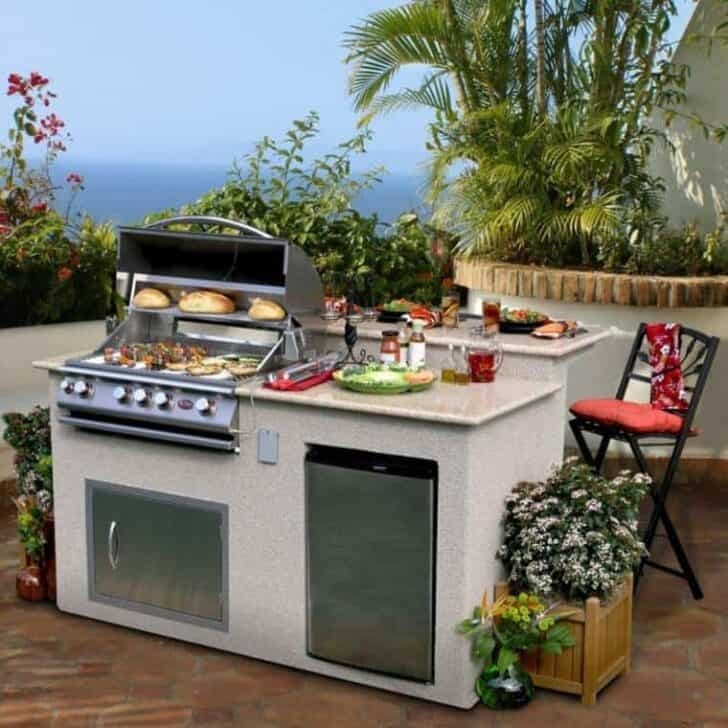 The organization of outdoor parties is much easier with a kitchen was modern. 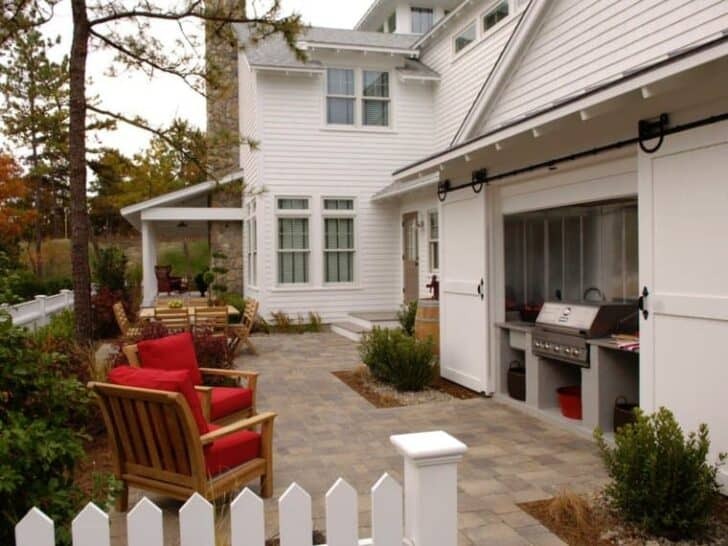 This corner of the outside will give you the opportunity to cook while staying among friends. 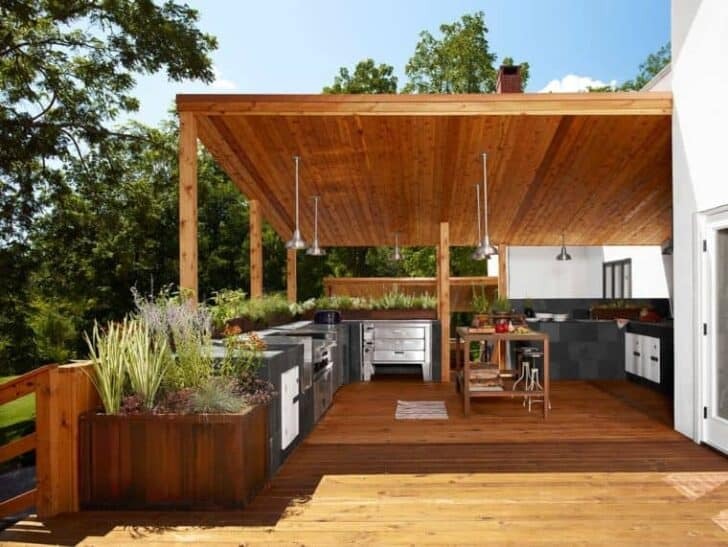 What are the necessary elements for the development of a summer kitchen in a modern style? 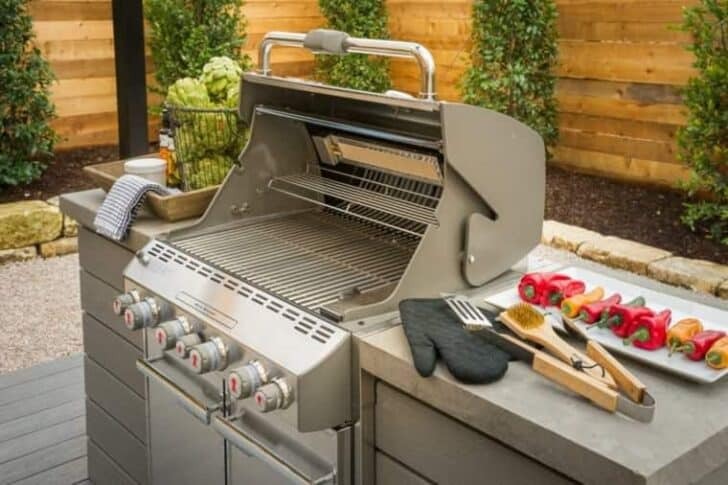 An almost essential element of the decor, barbecue gives you the possibility to prepare different meats or vegetables to your meals. 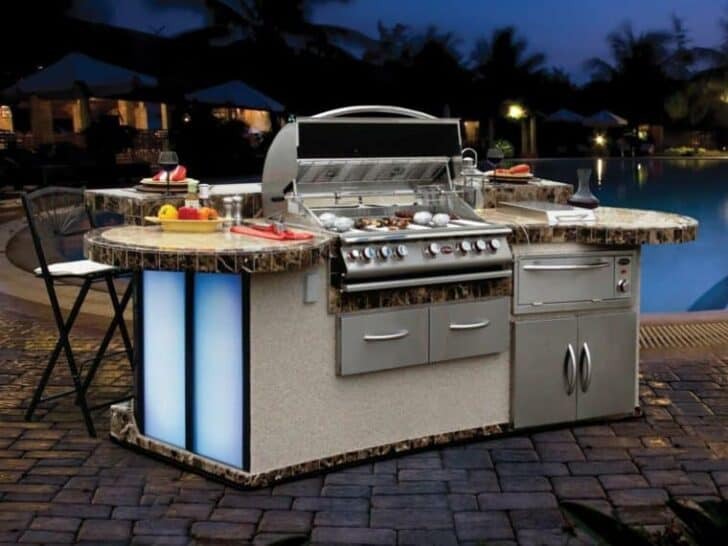 Modern outdoor grills, such as Cal Flame, may be an effective solution for a good quick and delicious dinner. Modern kitchens often also have a sink. Even if one does not necessarily need a space for washing dishes outside, sink remains a useful piece of equipment. It can be used for flushing of some fresh fruit or vegetables that will give a fresh touch to your dishes. 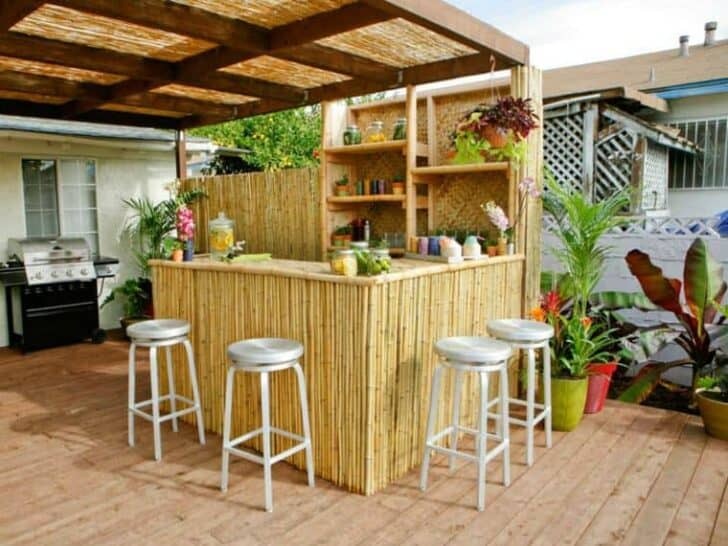 The bar, meanwhile, are a nice addition to the summer kitchen modern: they help us to provide a friendly atmosphere to our kitchen and are just greedy space. 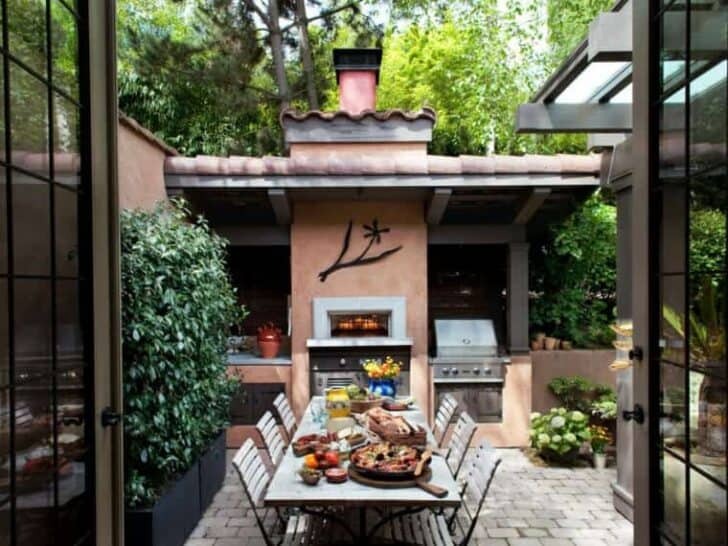 If you love Italian food, why not arrange a fireplace for cooking pizza? Your kids will love this idea that will finally allow you to enjoy authentic pizzas at will! 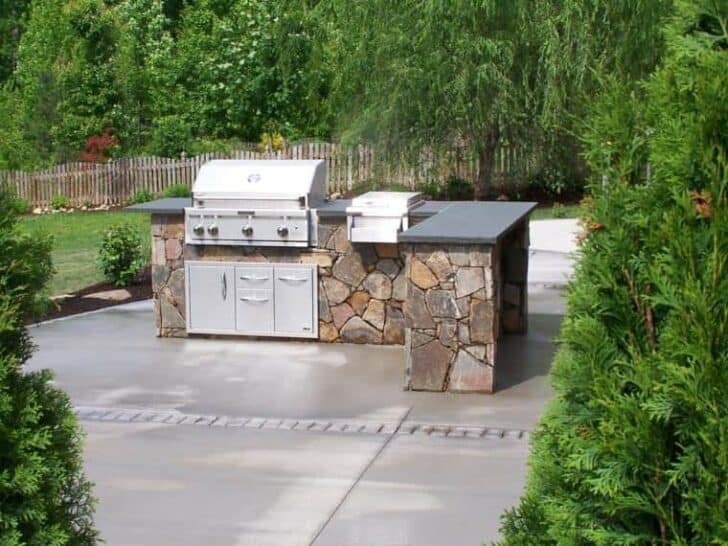 What are the modern trends for shall adjust to DIY outdoor kitchen ideas? 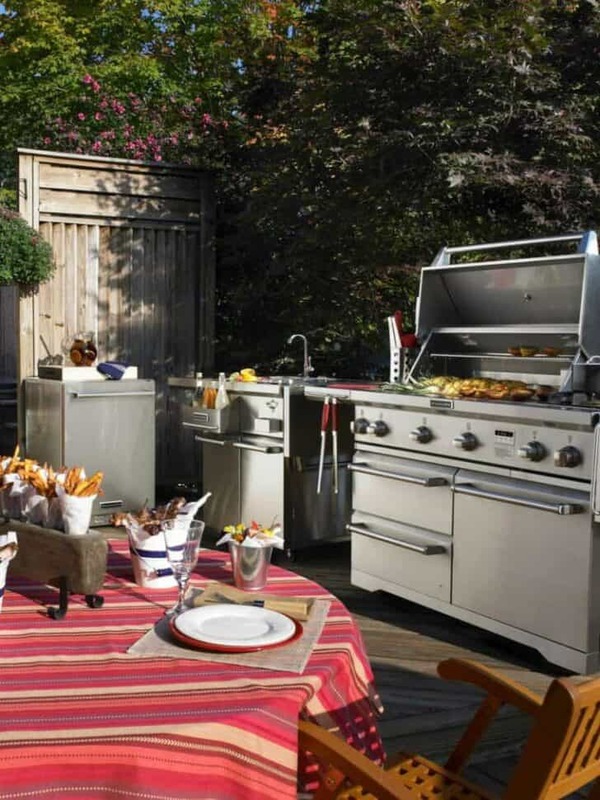 They are numerous because every summer kitchen is designed around the outdoor space and the needs of those owners. 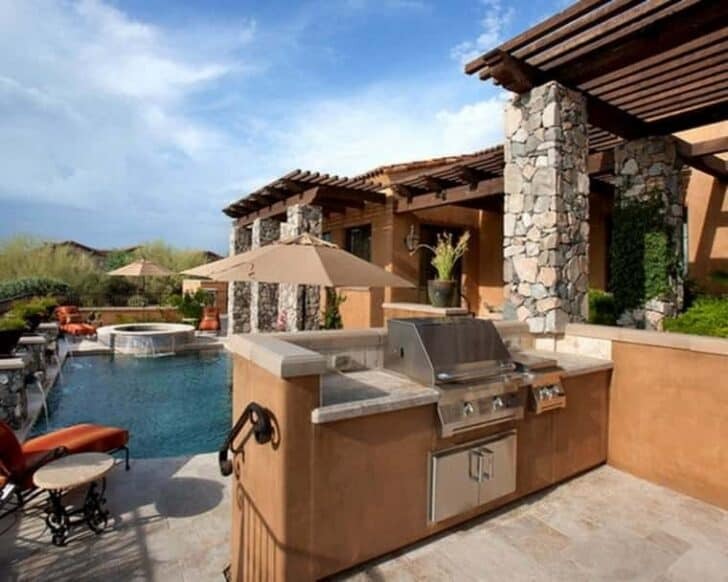 Outdoor kitchens contiguous to the garden rooms are common, and those appointed under a pergola. 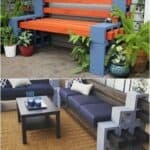 These have the advantage of being used even when the days are hot because you can enjoy the shade of the pergola. 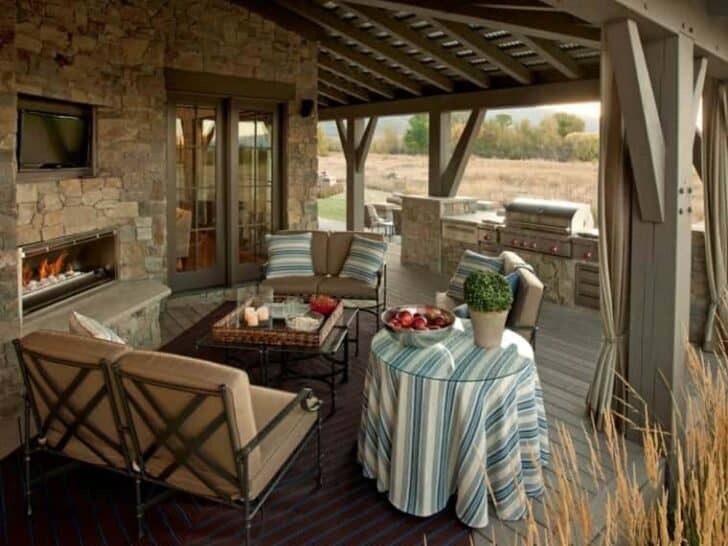 The most often used materials are wood and stone. Solid and resistant, they are ideal for the construction of summer kitchens with easy maintenance. 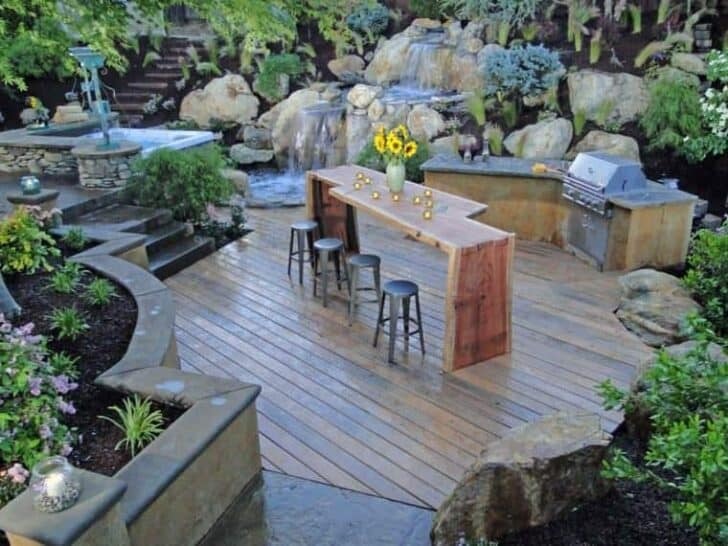 For those who do not wish to build one but still want to have a space like this in their garden, there are kitchen islands equipped. Easy to convert and store, they may even be moved to be where it is needed at a particular time. Finally, summer kitchens can also be arranged in a wooden garden shed large enough or be hidden behind sliding doors in a room overlooking the garden. 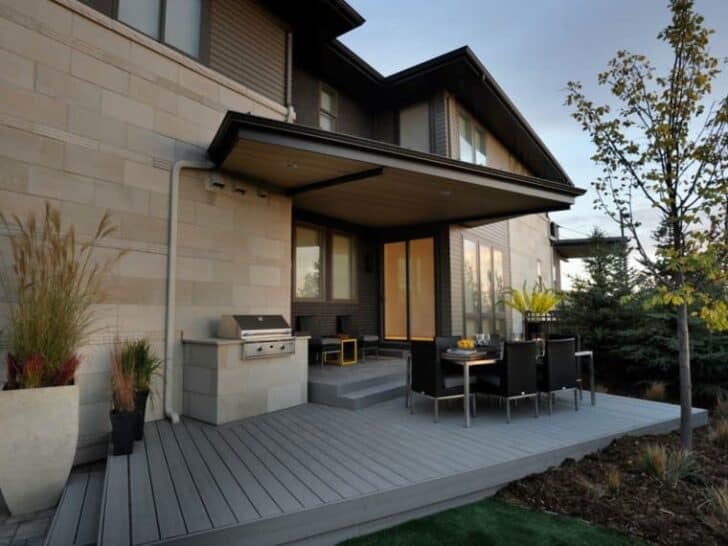 Find all the examples for an outdoor summer kitchen and modern aesthetic with the images below! I love that modern design ideas of you. It’s so cool and elegant!